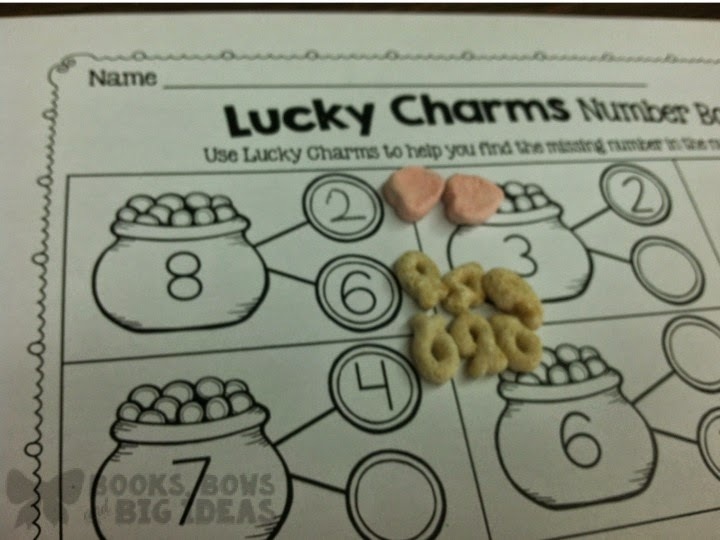 This week we did a super fun math activity, Lucky Charms Addition! 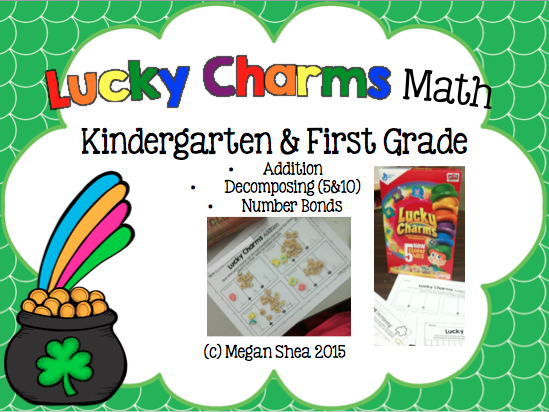 The kids absolutely loved doing math with Lucky Charms and really did a great job! 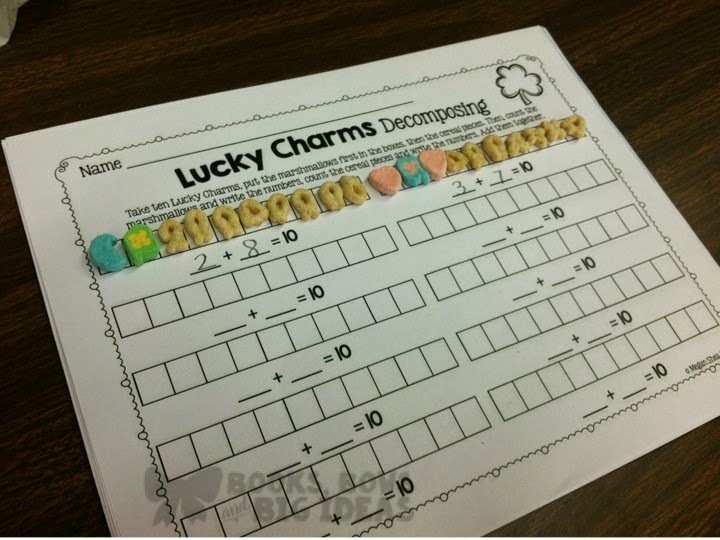 We worked on addition this past week, so this addition page was perfect. 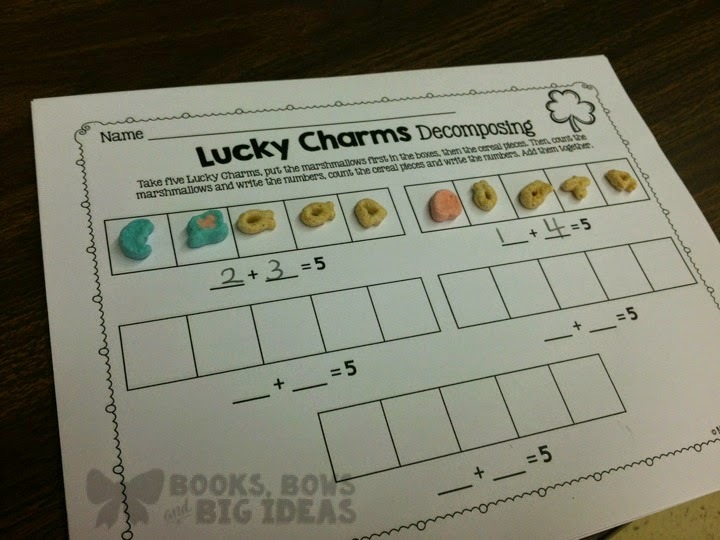 Next week we will be doing Number Bonds and possibly decomposing numbers depending on how much time we have. 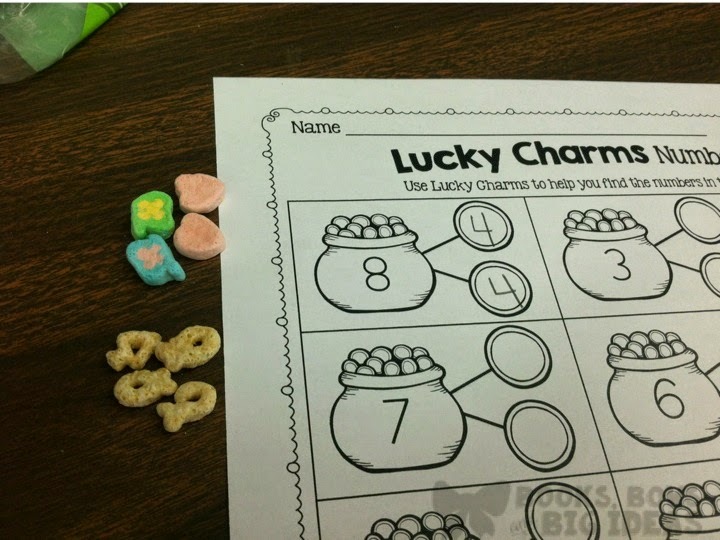 I still took pictures of all of the pages so you could see them with the Lucky Charms. 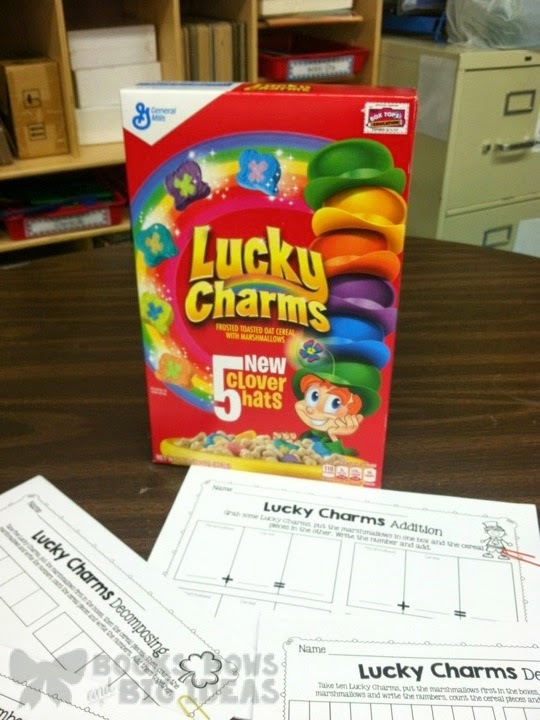 Adding food to any activity will make it more fun, but the Lucky Charms right around St. Patrick's Day was awesome! 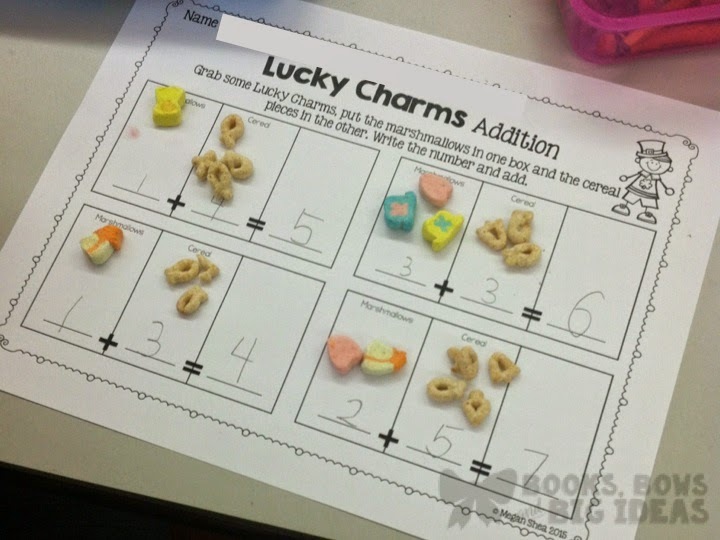 They were so excited that they got to eat the Lucky Charms after! 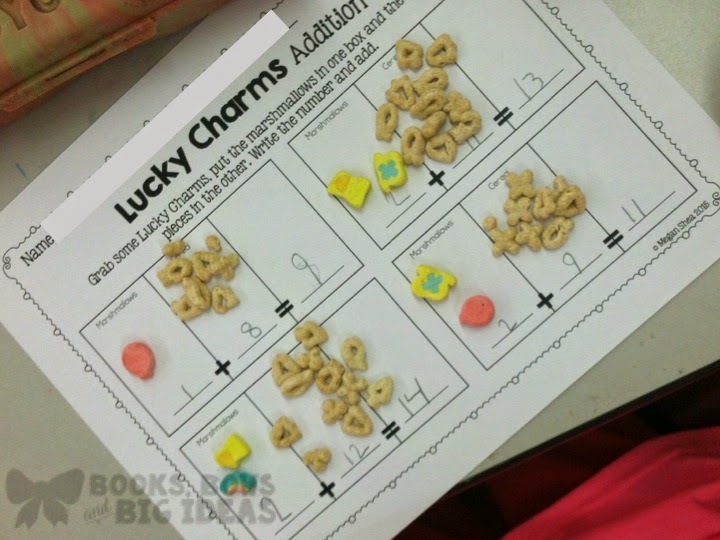 If you would like to use these activities in your classroom they are available in my TpT store. 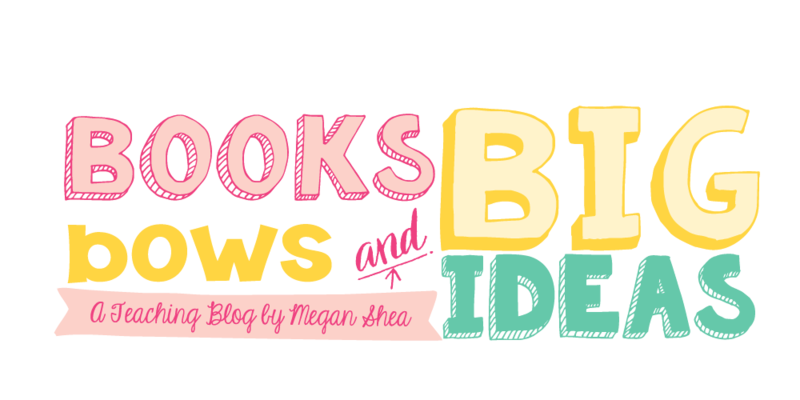 Peek At My Week: Penguins! Our 100th Day of Kindergarten! Peek At My Week: Third Week!